Over the weekend, after all the singing and pageantry, the DA resolved not to implement a quota system when determining its office bearers, and the way its structures will look. This has been used by some as a stick with which to beat the party. In fact, it is not the only structure in our society which is battling with this question. By STEPHEN GROOTES. The courts have been dealing with the issue of quota systems for many years, and while there is relative finality from the Constitutional Court, other courts during that process disagreed with the implementation of a quota system. There are also some interesting reasons why the ANC has been relatively quiet on this, which may have something to do with the complete lack of oestrogen in any of its provincial leaders’ group photos. It goes without saying that creating a society in which diversity is able to flourish, with people having a fair chance of achieving their full potential, is incredibly difficult (or nigh impossible) within our racialised inequality. Considering our contested and conflict-ridden histories, this makes trying to aim for a properly diverse future very difficult. All of that said, it is was always obvious that for the DA, the issue of diversity quotas was always going to be very very difficult to reach any finality on. First, the party is trying to reach both voters and talent from minority communities. While that can just be seen to mean white, it also means coloured and Indian people. This means that any kind of quota system would make the party seem unattractive to many of the people they are trying to attract. Also, within our politics, it has become generally accepted that affirmative action must exist, as a means of restitution, and as a means of integrating our society (while you can’t legislate integration at home, or in church, you can do it at the workplace). This means that, for it to remain attractive to its voters, the DA also has to find a way to define itself as different from the ANC on this issue. By rejecting quotas, it may in fact be able to reinforce the support it gets from its base. 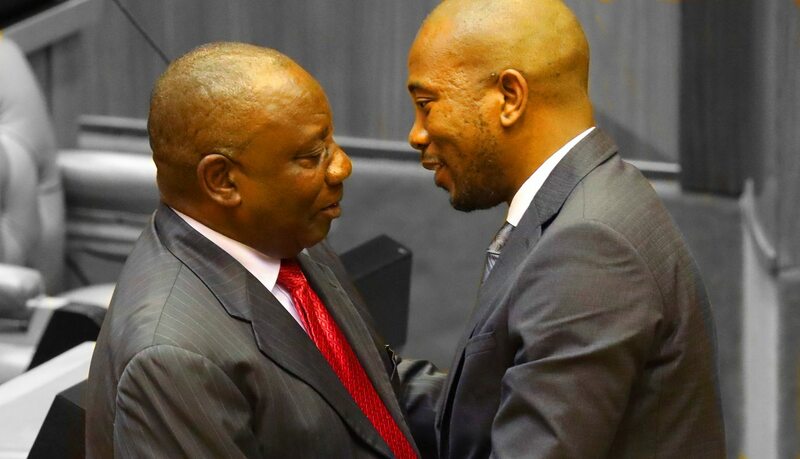 At the same time, while it may not seem like it to many people, there is always a small risk that the DA could lose some votes to the right if it were simply to go along with ANC policy. Considering that we are in an age in which so many people think starting a new party is the best solution to any problem (see the recent history of Agang, Makhosi Khoza and others), this is not something the DA would like to contemplate. Amid all of this, it should not be forgotten that this issue, the contestation between pushing for diversity and instituting quotas, does not just relate to race. It also relates to gender. It goes without saying that despite enormous efforts on the part of many of our political parties, politics is still very much a man’s game. And it is for this reason that all of the DA’s competitors may want to remain quiet on this issue. The ANC has created a system that leads to 50/50 representation of male and female members of its national executive committee. It involves a mathematical formula that sees women essentially gaining more votes towards the end of the election of the NEC (which is why the last 20 spots by voting on the NEC are occupied by women). This is surely a case of the institution of a quota. But it is also playing games with democracy, as it is still deliberately changing the rules of the game to help a group of people. When the game is no longer equal, a set of serious problems gets to be introduced into the system. However, it is also a change that was agreed to by the members of the ANC. In other words, like BEE and affirmative action itself, the rules can be changed if everyone agrees to change them and a proper process was followed to do that. However, this change to the ANC’s constitution was also a quick-fix, in that it has not, so far, led to a real change in attitudes towards female leaders in the party. The best evidence of this is not so much the Top Six leaders elected at Nasrec (which included only one woman), but the list of provincial leaders. Which are all men. This suggests then that in the ANC itself, it has not managed to actually change the attitudes of its voters. It could be asked at this point: have quotas actually worked then? And yet, surely, the answer would not be a simple one. In the middle of that, it could also be argued that attitudes towards women in the ANC are changing, they just have not found expression in the provincial political sphere, because of the particular political dynamics in the provinces. And that many of the men who have held sway there have been in power for many years, and thus built up political machines that cannot be taken down easily by anyone, male or female. With all of this, it should also not be forgotten that the issue of quotas and diversity has been wrestled with by everyone from the SA Rugby Union to the Constitutional Court. In what is probably the definitive ruling on the subject from Constitution Hill, it said in South African Police Service vs Solidarity obo Barnard that quotas could be used. That is now of course the rule of the land. But in the cases leading up to that judgment, the Supreme Court of Appeal, the court below, had gone the other way. Which suggests that while the Constitutional Court’s view is final, there was severe disagreement among our judges about what was the right thing to do. This debate is likely to be expressed in different ways among many South Africans too. There will be some who believe that the quickest and easiest thing to do is to simply institute quotas, in as many facets of society as possible. They will argue that this will lead to change more quickly. But others would say that this is social engineering (or in our case, re-engineering) and will have consequences, both foreseen and unforeseen.